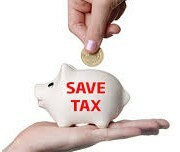 A new tax break from 6 April 2015, which will be eligible to more than 4 million married couples and 15,000 civil partnerships. The Allowance means a spouse or civil partner who doesn’t pay tax – therefore is not earning at all or is earning below the basic rate threshold (£10,600) – can transfer up to £1,060 of their personal tax-free allowance to a spouse or civil partner – as long as the recipient of the transfer doesn’t pay more than the basic rate of income tax. Applying online is straightforward. Couples can register their interest to receive the Allowance now at gov.uk/marriageallowance. However, the partner giving up the allowance must not be earning and the partner getting the allowance must not be a higher rate tax payer. When it comes to extracting profit from your company, it is important to consider both the tax and business implications of the various options available. Taking a salary or bonus rather than a divided could reduce the national insurance bill. While a dividend is paid free of national insurance contributions (NICs), a salary or bonus can carry up to 25.8% in combined employer and employee contributions. However, a salary or bonus is usually tax deductible to the company. The last date for paying a 2014/15 dividend is 5 April 2015. 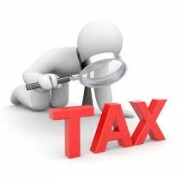 Any related higher or additional rate tax on the dividend may not be due until 31 January 2016. However you may have already paid some of the tax through the payments on account system. The rules can be complex – please talk to us about the implications of paying a dividend. Timing may also be an important consideration – it may be helpful to delay the timing of bonuses and dividends if taxable income is likely to exceed £100,000 or £150,000, especially if income in 2015/16 will be less. Other tax-efficient ways of extracting profit may include: using tax-free allowances, such as mileage payments, or reducing profits by the payment of employer pension contributions. However, each option requires careful consideration, so please contact us for further assistance. Proper financial planning is always important, but as the end of the tax year approaches, now is the time to ensure that your business and personal finances are as tax-efficient as possible. Contact Liric for some of the planning strategies that are available to you before 6 April 2015. The company car remains a key part of the remuneration package for many employees, but it is important to consider the tax and national insurance implications of your company car arrangements. Employees and directors pay tax on the provision of the car and on the provision of fuel by employers for private mileage. Employers pay Class 1A NICs at 13.8% on the same amount. The amount on which tax and NICs is paid is calculated by multiplying the list price of the car by an ‘appropriate percentage’. It may be worth considering paying your employees for business mileage in their own vehicle, at the statutory rates. We can review your company car policy and discuss the options available to you. An employer-provided van may be a viable tax-efficient alternative to the traditional company car. There are also special reduced car benefit rates for environmentally-friendly cars. Future changes – The maximum taxable percentage is set to rise from 35% to 37% in April 2015. From April 2015 the five-year exemption for zero carbon and the lower rate for ultra-low carbon emission cars will come to an end. Two new bands will be introduced for ultra-low emission vehicles. The diesel supplement will also be removed in April 2016, making diesel cars subject to the same level of tax as petrol cars. With robust planning and expert advice, you can minimise the tax bill and maximise your business and personal wealth now and in the coming years. Please contact Liric for further advice. We have previously described that one of Lisa’s pleasures in life is running, now she is to go further – in fact a lot further! 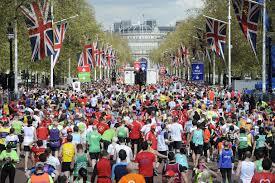 Lisa has been successful in securing a place to run the 26 miles of the London Marathon on 26 April. 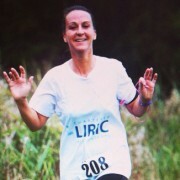 She will be running for NSPCC and looking to raise in excess of £2,000. 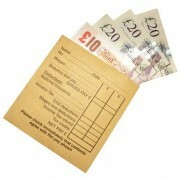 A company donation is tax deductible and a personal donation attracts gift relief so no excuses! – PLEASE help Lisa achieve her target and donate today using:– here, or here, or text ASIL95 followed by the amount you wish to donate. The NSPCC believe that no child should be abused. That’s why they’re there and that’s what drives all their work.They help children rebuild their lives, and they find ways to prevent abuse from ruining anymore. By making a donation today, you can help Lisa raise more money to fight for every childhood and protect more children. During 2014 the NSPCC spent £98 million on services and activities that directly benefit children and young people. Our spending focused on child protection advice and awareness campaigns – like our award winning Underwear Rule campaign and the ChildLine School Service..
Lisa hopes to raise a significant donation for this worthy cause, please refer to the links given in the side bar above, and which are repeated below and please help Lisa! OR by Texting 70070, tap in ASIL95 follwed by the amount you wish to donate! Simples! Strategic business plans should provide financial targets, initiatives to reach those targets and an overarching philosophy in which the company operates. Writing the objectives is the easy part – it is the implementation of specific, measurable, achievable, realistic, timely (SMART) objectives that is key to the success of any business plan. A business plan that hits the mark not only identifies the strategic direction of the company, but also maps out the tactical elements that enable the company to execute the plan. This is where most companies fail to operate their strategic plan into tactical initiatives. Why are these strategies going to deliver the greatest return on investment and effort? How are they going to complete and deliver on their strategic plan? Who is responsible for all of the steps required to execute? A strategic plan generally comes from the top. It is up to each of the department heads to internalise the plan and cascade the various tasks throughout their teams. Your companies managers should set the benchmark, help the team lay out the necessary tasks and then hold their time accountable to achieving those milestones. Achieving strategic success is one part execution and one part inspiration. Hitting milestones on a regular basis provides the ongoing desire to see the plan through to its full fruition. Setting milestones and monitoring not only keeps the firm on plan, but also allows for management to communicate these successes to the wider team. Strategic targets can be daunting at the outset, but breaking them down into chunks makes achieving them more manageable. Let us work with you on this – call LIRIC! REASONS WHY PEOPLE START THEIR OWN BUSINESS….. The payout that often comes with redundancy can make funding a new business much easier, which may explain why a fifth (20 per cent) of those asked said it was their catalyst. Turning a hobby into a business…..
5. NOT a TV programme…. One surprising result from the research is that TV shows about starting up a business are cited by just 1 per cent of respondents as a reason for starting up their company, while celebrity entrepreneurs also offer little inspiration – again just one per cent of men and no woman said they were a reason for going into business. Why did you start your business? – let LIRIC know your story! In last year’s Finance Act it was announced that the VAT rules for dealing with prompt payment (or early settlement) discounts would be changing from 1 April 2015. HMRC have now issued brief 49/2014 setting out guidance for businesses affected by the change, many of whom may need to amend their invoicing procedures. From 1 April 2015, output VAT will need to be calculated on the consideration actually received from the customer instead of the current rules, where VAT is calculated on the value of the supply and net of any discount for prompt payment. Let’s assume, for example, that you supply goods to the value of £100 but allow the customer a 2.5% discount if they pay within 30 days. Under the current rules VAT is charged on the discounted price of £97.50 not £100, whether or not the customer pays within 30 days. the terms of the PPD (in particular the time by which the discounted price must be made). 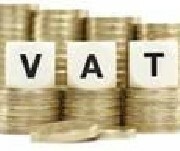 a statement that the customer can only recover as input tax the VAT paid to the supplier. Please contact LIRIC if you wish to discuss the effect of these changes on your invoicing and accounting procedures.